ATLANTA (AP) — A recount has been ordered to begin Wednesday in Georgia after certified results show Republican U.S. Rep. Rob Woodall leading his Democratic challenger by only a few hundred votes. Carolyn Bourdeaux had submitted the recount request Tuesday to the Georgia secretary of state’s office, saying the razor-thin margin in the race for the Atlanta-area 7th District seat deserves a second count. Official results, certified Saturday, show Bourdeaux trailing Woodall by 419 votes out of 280,411 cast. Responding to Bourdeaux’s request, Georgia Secretary of State Robyn Crittenden said the recount will begin at 10 a.m. Wednesday and continue until complete. Georgia law allows a recount if the margin between the candidates is 1 percent or less. The margin between Woodall and Bourdeaux is just under .15 percent. In-person votes are cast electronically in Georgia, with no auditable paper trail, so a recount consists mainly of re-tabulating digital votes already stored on machines. Those results aren’t likely to change. But absentee and provisional votes are cast on paper ballots, and recounting those votes has produced minor changes to tallies during prior elections. Bourdeaux is asking that all such ballots be counted by hand and that observers be allowed to monitor. On Tuesday afternoon, Crittenden’s office sent a letter to officials in those counties directing them to count by hand, in plain view of representatives for each candidate, any paper ballots “in which an overvote is detected … that contain stray marks … or that are otherwise folded or bent or cannot be processed by the optical scan tabulating machines” that might affect the race. In her recount request, Bourdeaux pointed to “questions regarding the integrity and transparency of voting systems” in Georgia that became a flashpoint in the race for governor between Republican Brian Kemp and Democrat Stacey Abrams. Among the legal wrangling that ensued, a federal judge earlier this month ordered Gwinnett County election officials to count absentee ballots that had previously been rejected because the voter’s birth year is missing or wrong. “In a race this close, every vote must be counted correctly and fairly,” Bourdeaux campaign spokesman Jake Best said in a statement. Woodall has held the seat since 2011. Before this year, he won each of his campaigns with no less than 60 percent of the vote. But the suburban-Atlanta district has increasingly become a legitimate battleground, as demographic shifts leave the area more racially diverse. This election was particularly perilous for GOP House incumbents, as suburbanites across the country disaffected with President Donald Trump revolted. One upset occurred in Georgia’s neighboring 6th District, where Rep. Karen Handel was narrowly defeated by Democratic gun control activist Lucy McBath. 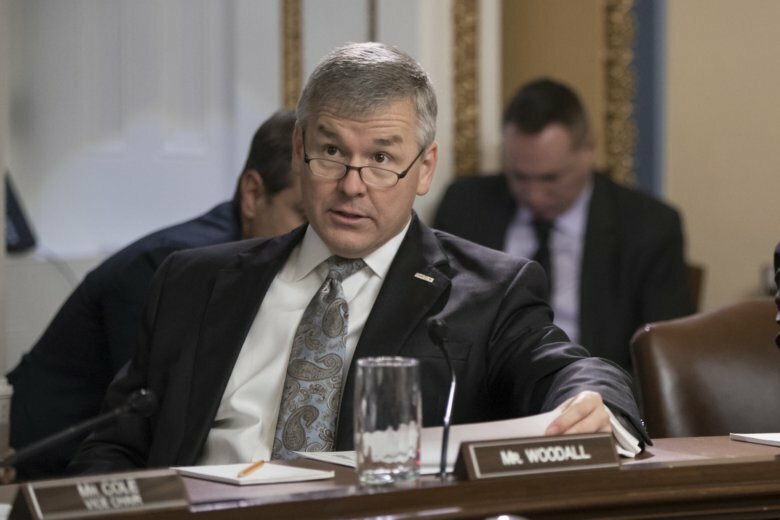 “For now however, Rob Woodall has been certified the winner and he is back to work, serving the 7th district,” Corbett said.